Entering the IWFM Awards provides an opportunity for you to be recognised for the quality and excellence you display on a regular basis through outstanding delivery of workplace and facilities management services. At the IWFM Awards there is something for everyone and most certainly a category (or two) in which you or your organisation can shine. 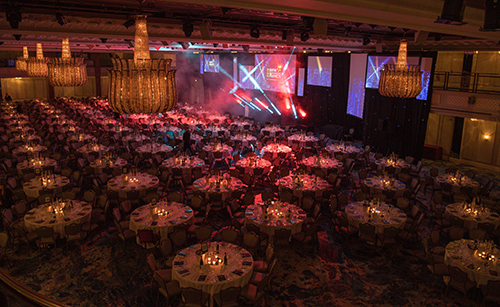 With entries to the 2019 Awards now open, it’s time to have a closer look at the categories this year and review what’s new. Our traditional category themes of People, Innovation and Impact categories will again feature this year and the fundamentals for each remain the same. The Impact categories are designed to forefront the greatest examples of workplace and facilities management delivery that have challenged and dramatically altered the way you or your organisation works to meet the expectations of customers, the needs of the environment and the demands of organisational performance. The Innovation categories seek to identify stand-out and exemplars in development and use of innovative thinking and processes to have a positive impact in the way in which you or your organisation operate. The judges will be looking the highest achievements of innovation in terms of technology and systems, people development and empowerment, products, processes and supplier relationships. The people categories are aimed at unearthing and recognising both the dedication and contribution you are making to your organisation as a newcomer, a team, a manager to the workplace and facilities management profession as a whole as a candidate for the industry’s Leader of Year. This year we have made some significant changes across our Innovation and Impact categories, including a brand-new category, Innovation in Supplier Relationships, designed to recognise truly collaborative business relationships and working practices, and evolving others. We’ve also adapted some others. What’s new: Are they for you?